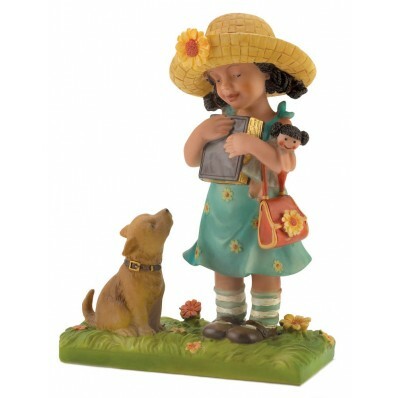 only her faithful canine companion could come along for the ride! to charm both young and old alike. Handmade by CloudWorks™. Weight 0.4 lb. Polyresin. 3 3/4" x 2" x 5 1/2" high.